lines of 40 characters. Each character is formed via a character generator ROM within an 8*8 pixel cell (the total screen resolution is therefore 320 horizontal by 200 vertical). In addition to the standard alpha-numerics, you also get a set of graphic symbols, some of which are obviously game-oriented (the card suit symbols, for example). These permit pictorial and graphic images to be formed under program control. I am constantly amazed at the degree of cleverness with which people have put these graphic symbols to use within their programs. A lower-case character set (with descenders) is software selectable, with an attendant loss of most of the graphic symbols. The (full-sized) keyboard is of good but not superb quality, and the numeric and cursor control keypad are in a conveniently separate cluster. Graphic symbols are visible on the forward vertical side of the keycaps and are accessed in conjunction with the SHIFT key. All alpha-numeric and graphic symbols may be displayed in normal or reverse-field mode at the keyboard or under program control. A single RUN/ STOP key permits you to load in whatever program is next on tape with a single key-stroke, although in general named programs will probably be used within the format of a LOAD command. (A PET operating system, called Basic 4.0, is available which default loads from the disc rather than tape.) The STOP function of this key is somewhat misleading. It is normally effective when the program is running under the control of the Basic operating system, and will get you cleanly out of loops and allow you to abort your programs early. It is essentially useless, however, if you intend to do machine language programming. Under “crash” conditions, you are normally forced to do a power-on reset, which obviously wipes out your program. There is, however, a user-supplied hardware solution, using the RESET and DIAGNOSTIC SENSE wires. It is relatively simple to wire in, but should not be attempted unless you have some hardware abilities, and are willing to invalidate the warranty. On the positive side, the STOP key can be de-activated under program control, which technique can be used to prevent “curious fingers” from stopping your program. Actually, two separate tape drives are supported, so that aside from the slow speed and inherently sequential nature of data on tape, it is at least possible to do data-base programming. The tape motor (but not the PLAY and RECORD buttons) is under system control, so the tape will stop when the end of a program or data file is reached. The COMMODORE tape units do not have audio output, so you will not get an audio feedback (which can be quite comforting at times) to let you know all is well, nor do they have tape counters. Thus, it is pretty inconvenient to store several programs or data sets on the same cassette. However, there is nothing magic about the cassette hardware, so that conventional cassette recorders can be adapted to work on the PET, again with some hardware experience. and software expertise on a machine language level. However, it can be used for memory expansion in both ROM, RAM, and 1/0. Several manufacturers make memory expansion boards that connect to the expansion bus. Another powerful feature of the operating system firmware is the real-time clock, updated every 1/60 second. Two special variables, TI and TI$, are available to the user for use directly or within programs. This interrupt driven feature also scans the keyboard, and permits look-ahead key entry. This feature means that your keystrokes are remembered, even when the system is nominally “busy.” Again, you will only appreciate this on comparison with systems which don’t have this feature. On the negative side, the interrupt driver can get in your way in certain machine language programming techniques. language realm (but why not give it a try? – the command structure is actually simpler than Basic), but the MLM is there if and when you need it. 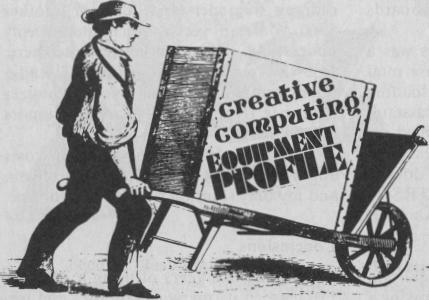 Software is where it’s really at – without good software, even the most sophisticated personal computer will look dumb. One of the most important factors one must consider when trying to decide on a personal computer is the availability and quality of software. No one person has the time and ability to program everything; the best you can hope to do is accept the specific challenges which fit your own interests and capabilities. Many fine products (see advertisements in this issue) are available commercially. These cover a range from action games (Breakout, Space Invaders, Zap, etc. ), to more serious games (Microchess, Backgammon, 1000 Miles, etc. ); from relatively simple applications programs to complete systems (various assemblers, word procesors, financial and business packages, educational packages, etc.). Obviously, the PET has no monopoly on good software nor even the largest share within the market. The point I am trying to make is just that software quality and availability is not a limiting factor in the utility of the PET. believe, are unsurpassed in imagination, cleverness, and willingness to share the results of their expertise. I don’t feel it is appropriate, nor that I am even qualified to mention names, but I would advise the reader to scan the various personal computer magazines and journals to make their acquaintance. The people at Commodore have, perhaps justifiably, not revealed much of the inner workings of the PET (this situation is steadily improving due to the unrelenting commitment of certain Commodore staff members). However, the active community of PET users has done an essentially complete analysis on their own. There is indeed much “hidden gold” within the PET but unfortunately there is no one place where it is documented fully. In summary, I would say that you really can’t go wrong if you choose the PET as your personal computer. My own experience has been excellent in terms of reliability and capability. The PET shows no signs of obsolescence, and continues to be a popular machine. 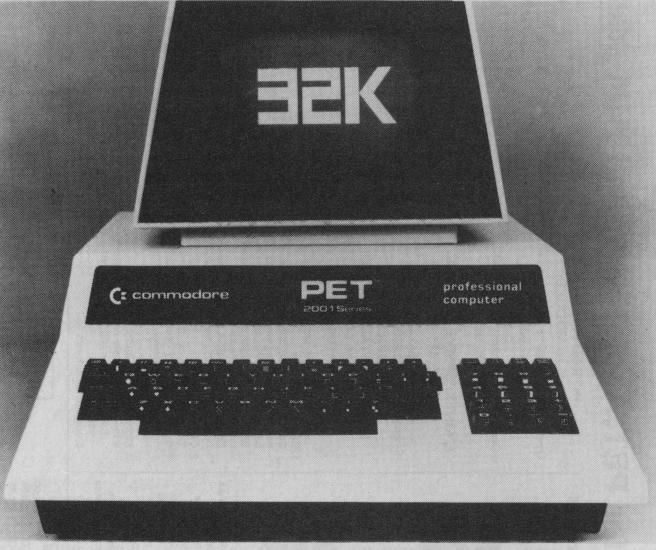 In all fairness, in case it hasn’t been clearly stated above, I should restate what I feel are the PET’s main weaknesses; its limited graphics, lack of a built-in RESET switch, and incomplete Commodore documentation. In my opinion, its main strengths are; good Basic operating system, advanced screen editor, good hardware/ firmware marriage, IEEE488 support, and broad based software availability.